Thanks so much for stopping in today! Hop on over to Heather's blog today too! She's highlighting the set Rounded Diamonds! Aww JJ, I love this so much!! Those cheeky rainbvow monkeys look so great hanging by that twine!! So cute! I'm always a sucker for a rainbow on a card and these monkeys are just too fun. Great card! JJ this is so cute, I love how they are all hanging from the vine! 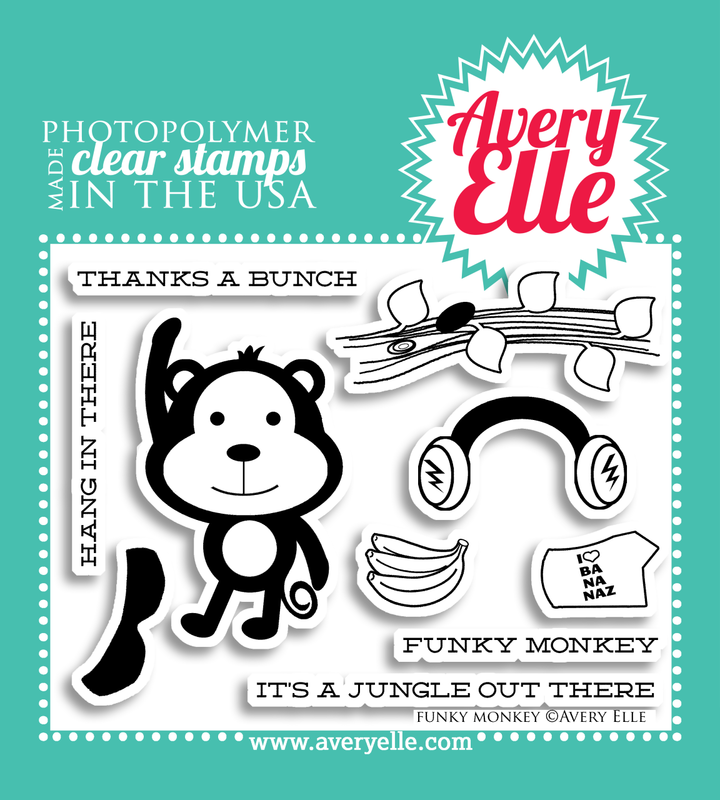 this monkey is so cute.. love how you stamped him in all those colors... awesome card.. CUTE!! Love these monkeys hanging/dangling on the ropes! Awesome, JJ! So cute! I love the washi bellies! Adorable! 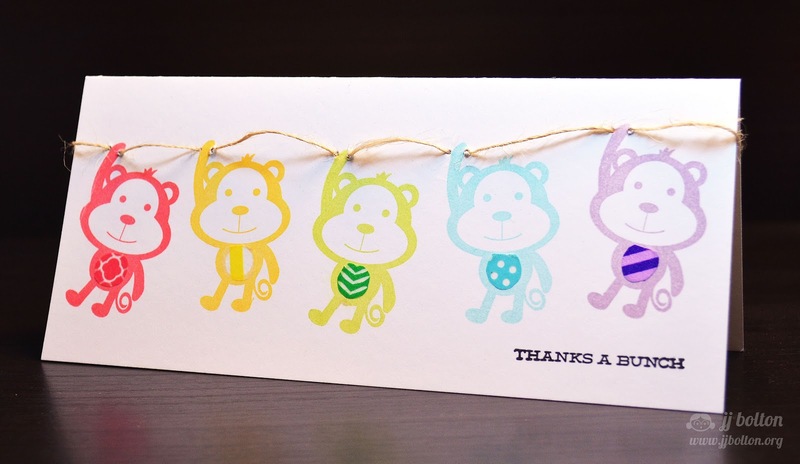 Love the rainbow and the washi bellies! Too stinkin' cute! Love the washi bellies! What a delightful card! Honk! I love it! Love the cute different colored bellies! How clever! I love the way you stitched under their hands to make it look like they are hanging on! This is absolutely adorable, JJ! I love all the fun colors you chose and the washi tape tummies are genius! I'm singing it now :) The boys used to LOVE that song :) This is totally brilliant - love their matching washi bellies! EEEK! How cute is this? I love the twine and the JJ trademark rainbow of color!